Speakers and delegates were welcomed to University Campus Oldham’s 2nd Annual Criminology Conference. 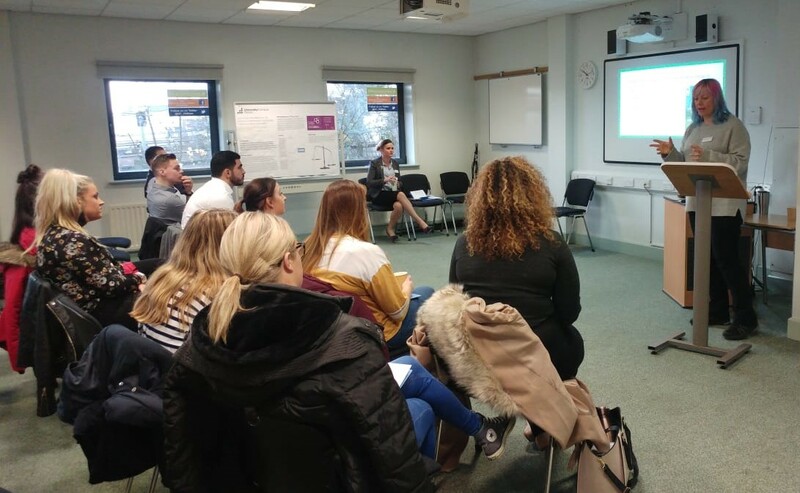 Students and guests were invited to a criminology conference at University College Oldham to hear from researchers and practitioners from the field. The conference, held at UCO campus in Oldham included speakers covering a range of topics: Dr Linda Asquith: Auschwitz and Memory, Dr Melanie Flynn: The Nature and Extent of Wildlife Crime, Dr Dara Mojtahedi: The Fallibility of Eye Witness Testimony, Kalliopi Tzani-Pepelasi: Profiling Tax Scammers, Daniel Hunt: Media Appeals and Missing Children, Jan Cunliffe: The Misuse of Joint Enterprise and Guilt by Association. This is the second conference offered by the faculty, designed by Course Leader Kate Clegg and lecturer Matt Kinsella. Kate has been lecturing in criminology for 10 years. Currently Kate is leading the Criminology and Criminal Justice FdA and BA hons degrees at University Campus Oldham in partnership with the University of Central Lancashire. Kate is currently working towards a PhD exploring the temporal profiles of serial predatory offenders, alongside this Kate is currently involved in researching the experiences of prisoners who undertake the alpha course. Matt Kinsella is currently lecturing in Criminology and Psychology at University Campus Oldham. Matt completed his undergraduate degree at UCO and his masters at the University of Huddersfield, where his research focused on concealed information testing. When developing the first conference in February of 2018, Kate had a vision to bring a range of criminology researchers and practitioners to the widening participation campus. Both Kate and Matt champion what UCO offers to our students and are driven to ensure they facilitate a higher education experience which provides challenges as well as opportunities by responding to diverse needs, and understanding the varied motives of students in embarking on their higher education journey. For more information about the course content and how to apply click here.